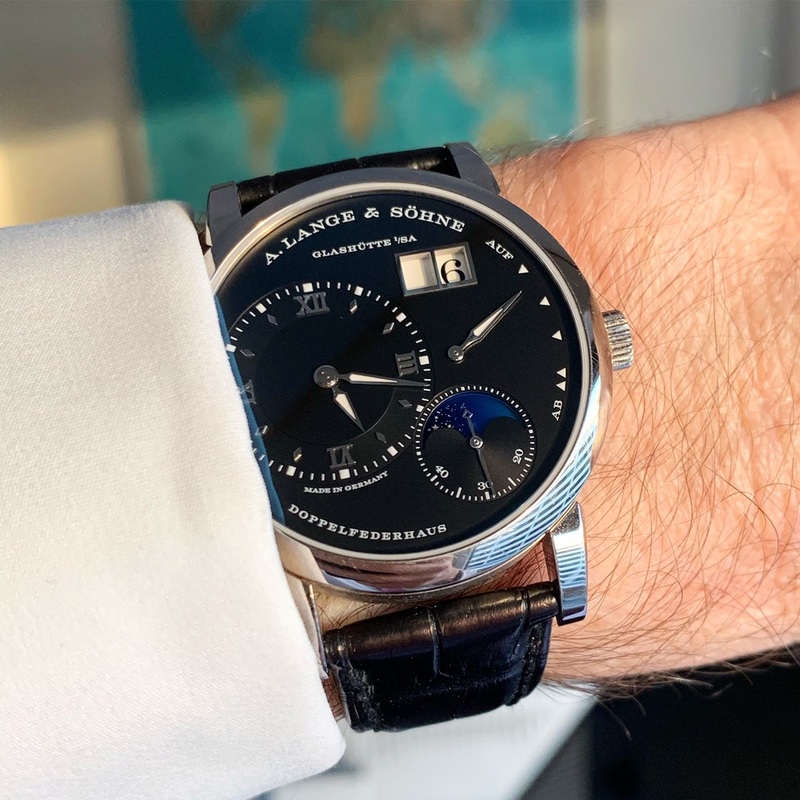 A.Lange & Sohne - Happy new moon! There are actually two separate moving parts here - the moon phase and the day-night indicator. The latter cycles through indigo+stars and robin’s-egg blue each day, no matter what the moon phase. That moonphase/day night indicator really pops in on the black dial. I want this watch. Enjoy, it’s a beauty! Such a beautiful and innovative application of the MP.